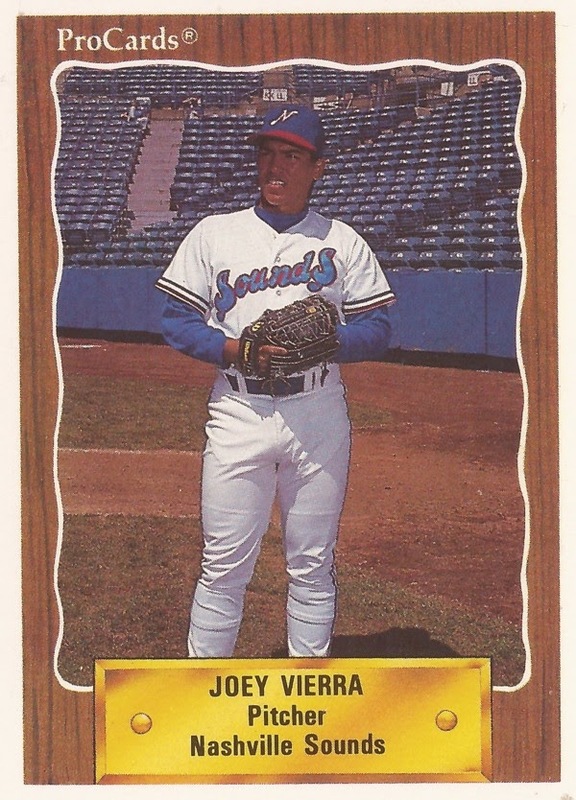 Joey Vierra had already spent several seasons in the minors by spring 1995, without a call-up to the majors. When presented with a possible path to the bigs in 1995, as a replacement, Vierra found the choice easy. He turned it down. "It's real simple," Vierra told The Chicago Tribune that February. "If I play, I give up seven years of hard work to get where I'm at. All the hard work, all the dedication and courage to stay in baseball as long as I did, it'd all be wasted. "The opening day of my career when I started out, my greatest memory, it would mean nothing to me," Vierra added to The Tribune. For those who chose replacement ball, most never did make it to the majors. For Vierra, he never would make it either. Vierra's career began in 1987, selected by the Reds in the 31st round out of the University of Hawaii. The pitcher played that year in the rookie Gulf Coast League and at single-A Tampa. In rookie ball, Vierra posted sub-1 ERA. At Tampa, it was an ERA of 10-plus. A reliever, Vierra spent the next two seasons at single-A, at Greensboro and at Cedar Rapids. He made AAA in 1990, skipping AA for Nashville. The winter before his promotion to AAA, the Hawaii-native Vierra got in some extra work, in Australia, playing for the Waverly Reds. Vierra took the chance in Australia, putting off finishing his studies that off-season, The Melbourne Age wrote. "This sort of chance comes once in a lifetime, and you have to take it when it comes," Vierra told The Age. "I hesitated at first, but that was more because of the shock of getting the chance to come to Australia." Vierra spent the next three seasons at AAA Nashville, his last posting a sub-3 ERA for the Sounds. But he didn't get called up to Cincinnati. After 1992, it was time to move on. Vierra played 1993 with the Dodgers system, mostly at AAA Albuquerque. The next year, he was with the White Sox, moving backwards. He played the majority of the year with AA Birmingham. But he did make it back to AAA, at the new White Sox affiliate in Nashville. In Birmingham, Vierra got to play with the young White Sox prospect Michael Jordan. Vierra even made Jordan break up laughing, Sports Illustrated wrote, the young pitcher serving Jordan coffee in the dugout, a white napkin draped over his arm, like a waiter. Vierra also played that year in his home state of Hawaii, in Hawaii winter baseball. ''I tell you, they don't realize what an opportunity this really is for them,'' Vierra told The Maui News in 2008 if winter ball in Hawaii. After that spring in 1995, Vierra returned to AAA, where he would be the final two seasons of his career. He played in 56 games for Nashville in 1995, posting an ERA of 4.17. The next season, he was with the Rangers system, at Oklahoma City, playing in just four games, ending his career. But, in July 1995, the White Sox released reliever Rob Dibble. Vierra had a 2.76 ERA at that point with opposing batters hitting just .173 off him. The Tribune wrote Vierra was one of two candidates to get the call-up, the other being a younger Matt Karchner. Karchner got the call.